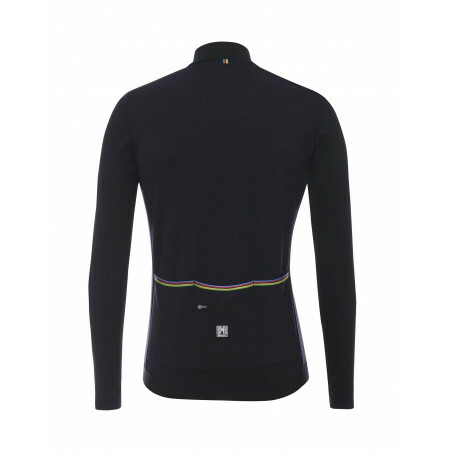 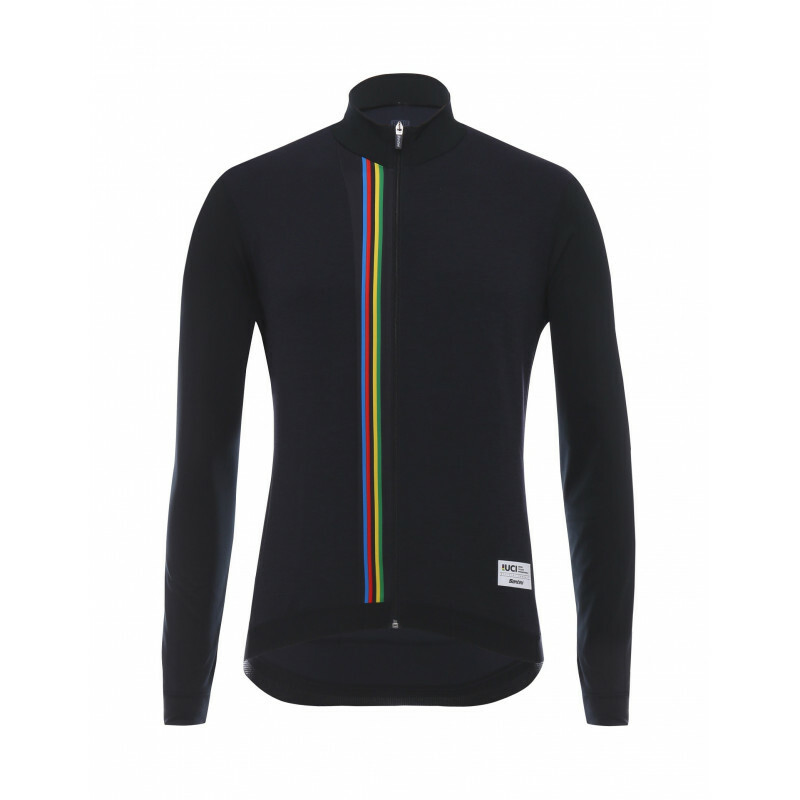 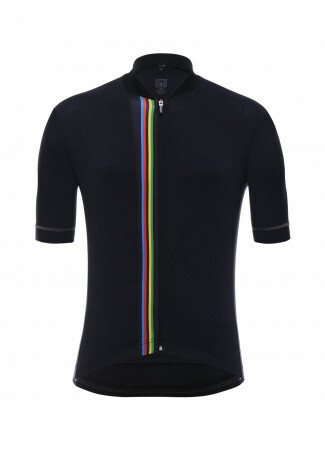 Long sleeve jersey in marl effect winter fabric with rainbow insert on the chest and on the hem of the rear pockets. 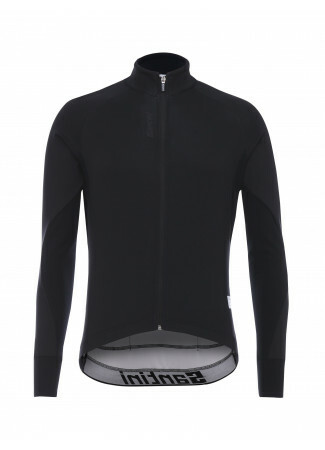 Engineered with durable marl-effect fabric. 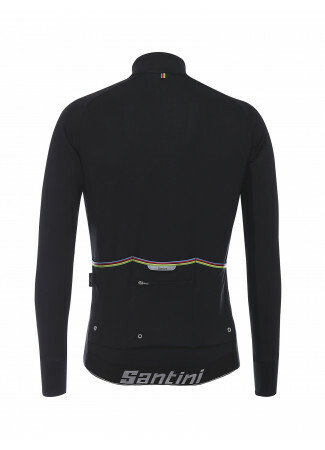 Guaranteed to stand the test of time and keep you warm on cooler rides. 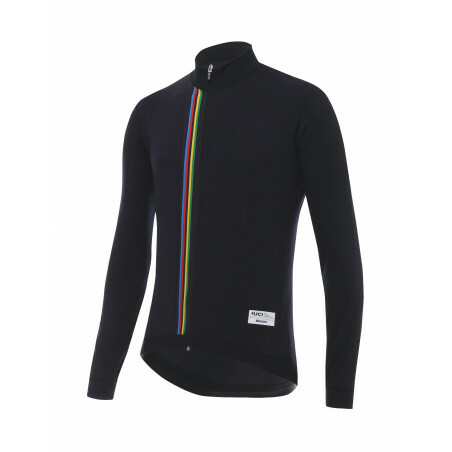 With stylish rainbow stripe designs. 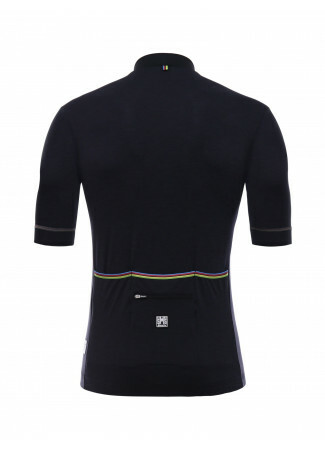 Both on the front and on the folded trim at the rear stitched to the hem of the three pockets.